Latest tech news | What Hi-Fi? All the latest hi-fi and home cinema news from What Hi-Fi? Deals Until the end of the month, UK folk can now buy this five-star Naim networked system for just £1799. Apple's modem chip supplier, Intel, calls time on 5G mobile as the Cupertino giant makes six-year deal with Qualcomm. Deals The Google Home is now only £60/$99, while the smaller Home Mini is just £29/$39. The new Xbox relies solely on downloads and streaming for games, films music and more. Sony’s next-gen gaming console isn’t coming until 2020, but if the first details are anything to by it should be worth the wait. Expanded Spotify Connect capabilities and support for Qobuz are also on the way for devices including MusicCast smart speaker tech. Cortana integration and noise cancellation will come as standard, according to rumours. 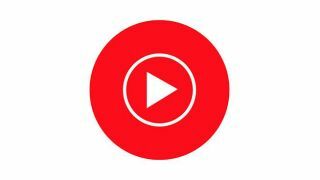 The classical music streaming service's latest software update is available now in the UK, with a global rollout expected in May. The Swiss high-end headphone brand has today added a third pair to its affluent arsenal, the £3840 Roller MK02. Deals Bulk buy Amazon's small smart speaker, and you'll save $80 on the original price. A free, Spotify-challenging tier could arrive as early as next week. Sponsored Make sure you're seeing the full 4K HDR picture. Add wireless music streaming to your hi-fi system with this well-equipped standalone streamer. The new TD 1600 and TD 1601 decks will make their debut at the Munich High End Show in May. Disney also announced details of a forthcoming Marvel series which will go into production this year. 8K? Pah. Sony is going all out with this gargantuan 63-foot long 16K screen.